I’m always looking for new and exciting neutrals that stand out. And right now it’s still considered cold in San Diego, so we’re talking sweaters and coats while still remembering spring is right around the corner. 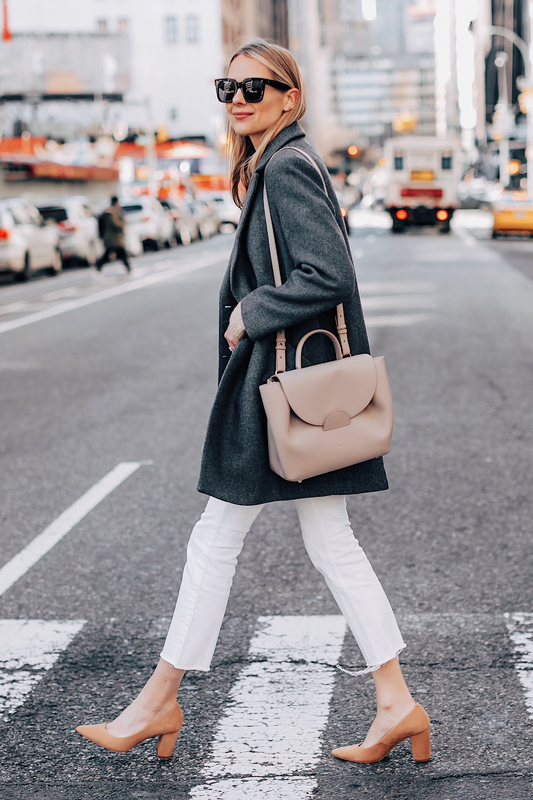 These stunning cropped white jeans are exactly my favorite touch of spring to compliment my late winter outfits. 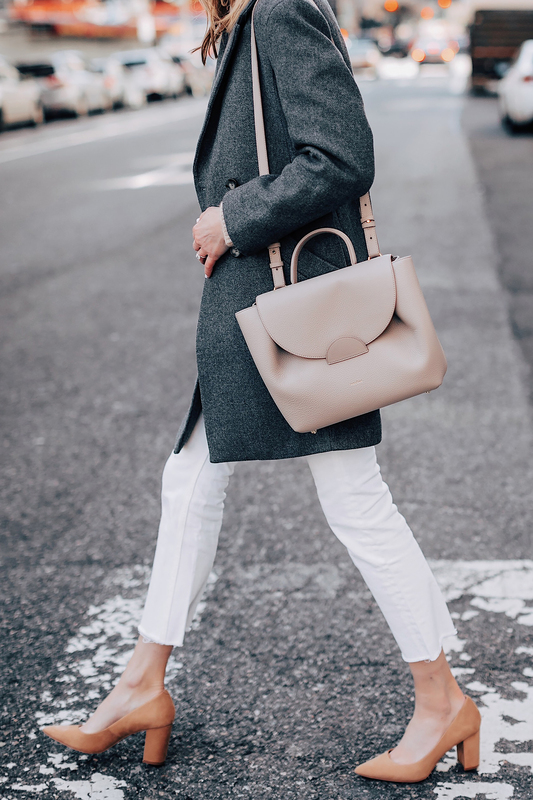 Not forgetting that warmer temps are still a ways away, this grey wool coat keeps me comfortable while still looking incredibly chic. Fashion & function? Yes please. Of course I had to throw in my other favorite neutral color, camel. This camel sweater and tan heels are just the level of chic and easy moving pieces I need to tie in my style with this ensemble. Completing stylish basics with these similar colors add warmth to a cute winter outfit. 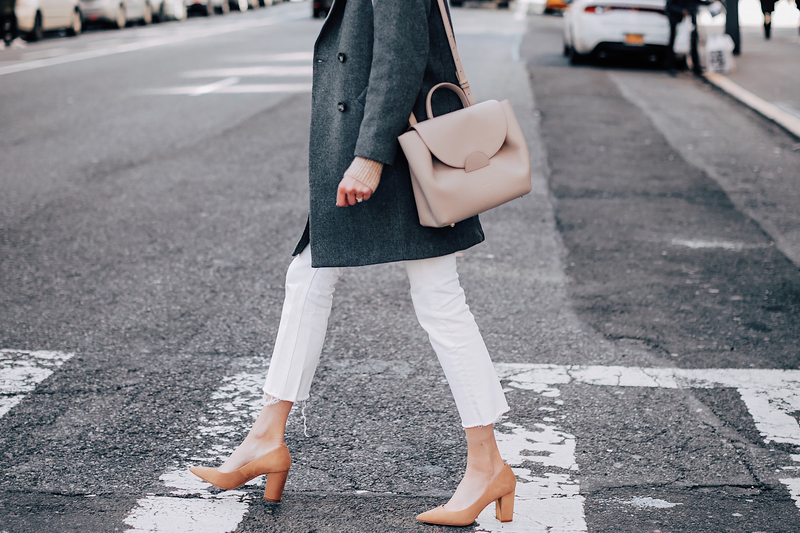 So when you're trying to stay warm during the winter months, but spring is on your mind, mix light neutrals together for an impossibly stylish ensemble. 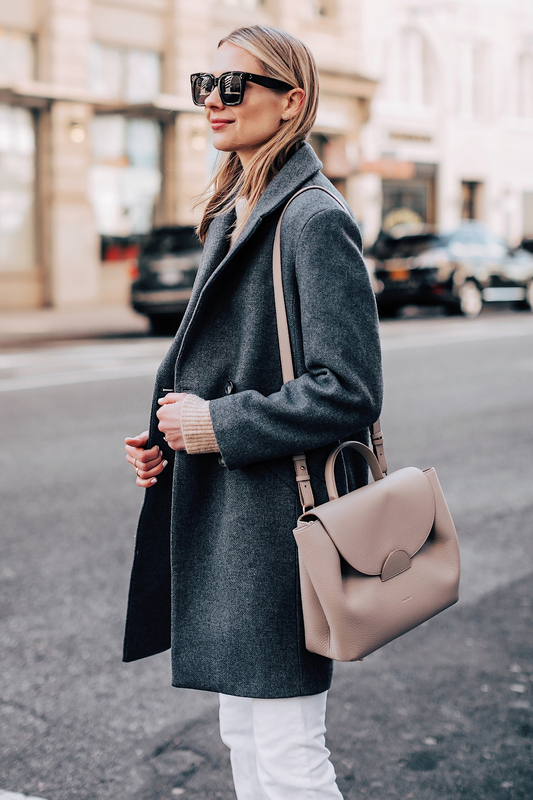 Elevate your winter wardrobe without compromising. Style Note: The sweater is pretty itchy, so if you are sensitive, try the alternative I linked! Lovey outfit and styling as always. Thank you for sharing an alternative to the itchy sweater! 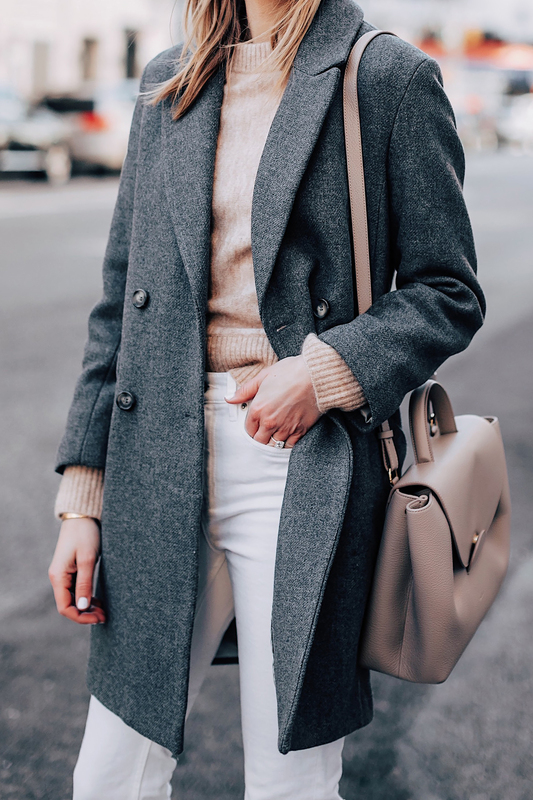 I’ve been seeing so many camel and grey outfits lately, I feel like it’s a real trend right now even though winter is almost over and soon we’ll be all over bold and bright colours. I personally really like this outfit, the coat is really pretty and classy. Love your outfit. What color is the Polene bag? It doesn’t look gray in the photos, but I think you link to the gray one?? Yes, it is the grey one! Its just more taupe in person – still a very beautiful bag!